what comes next. | these vagaries. 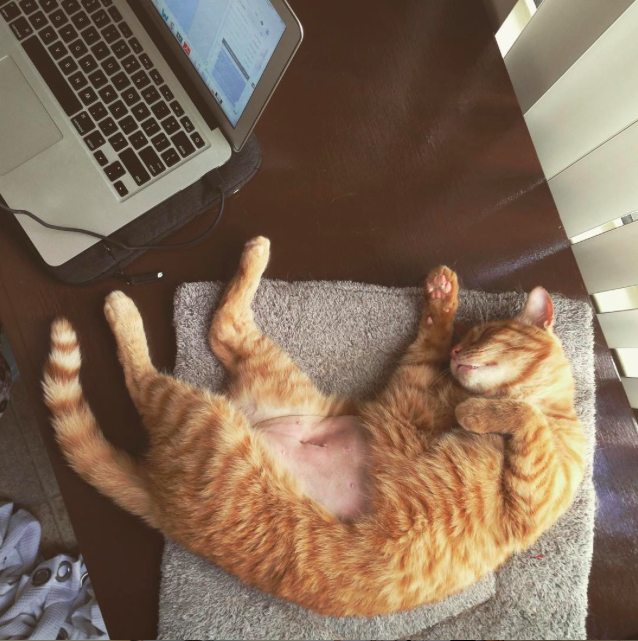 Yesterday my car was struck in a hit & run, two weeks ago my cat had surgery from which he may or may not recover, and today I finished a read-through of a first draft of a new book and sent it to my agent. It’s weird, isn’t it, the patterns of anxiety, the slow creep of stress. Sometimes you dodge it and sometimes you don’t. Sometimes you have a pretty good Greek salad for lunch and you think, OK. I can do this. I can handle this and whatever else. Sometimes you just know you’ll be fine in a little while. Give or take whatever may come next. This entry was posted in Journal, Writing and tagged anxiety, books, california, depression, literature, los angeles, stress, writing. Bookmark the permalink. Wishing you, your cat, and your car all the best. Hope you’re feline better soon.